I am in love with Taipei. It’s one of those places where as soon as you step onto the street, the energy hits you. I swear it vibrates with life. If you want to know what to see and do, you should read my travel feature on it for Kansai Scene. As for eating out, it paid off to know where you were going. A Taiwanese friend of mine and her sister took me to what they termed a traditional Taiwanese restaurant – it was nothing fancy, and seemed more like a cafeteria in appearance, but the dishes were great (stinky tofu and bitter melon aside). 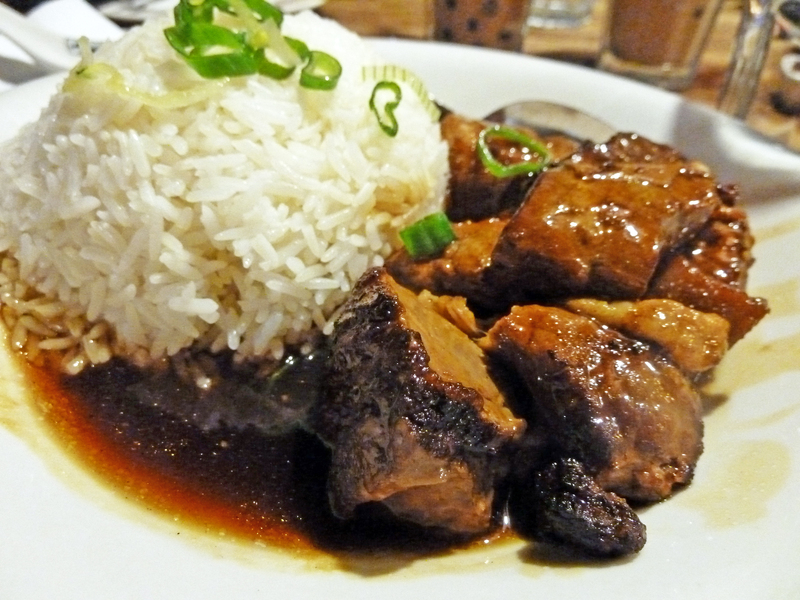 Taiwanese food, although similar to Chinese in many ways, incorporates garlic and coriander, which add extra variety and depth, and please me no end. 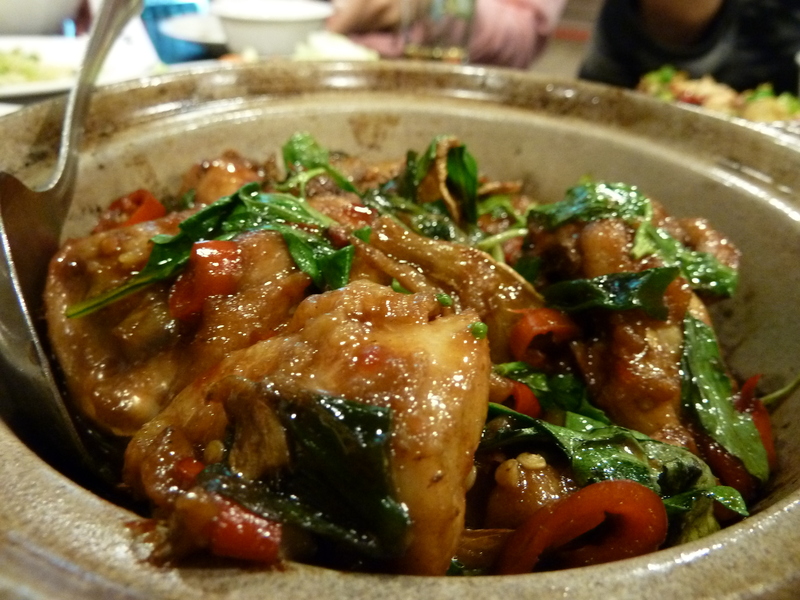 As for Taiwanese food in London, your options are seriously limited. Occupying two sites in Chinatown, Leong’s Legend seems a perpetually popular place. My friends and I stopped by for some wonderfully abrupt service and late night dinner. 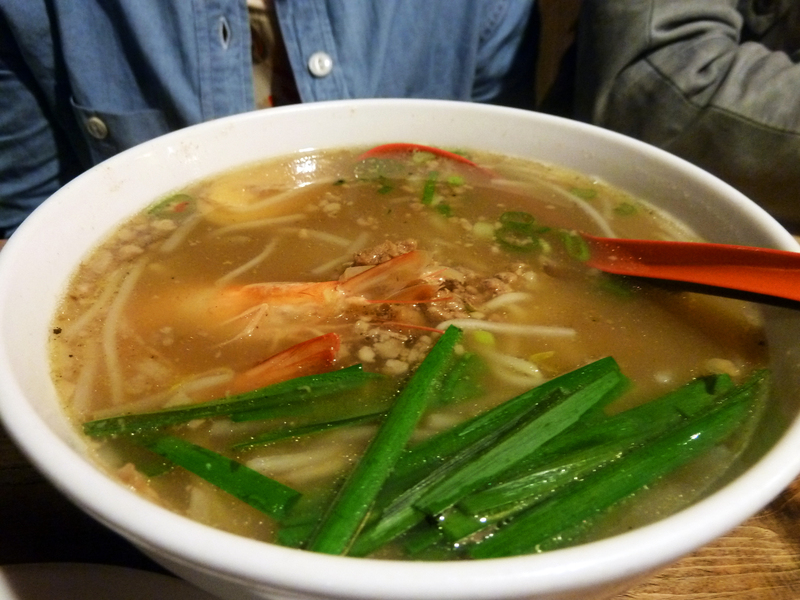 The prices are incredibly reasonable – £5-7 for a main dish, so it suited our student status at the time. Actually, who am I kidding? It still suits me very much. This is LONDON! I tucked into the house braised pork belly (£7), which, whilst far from being the finest fare I’ve ever eaten, was very comforting and represented value for money. 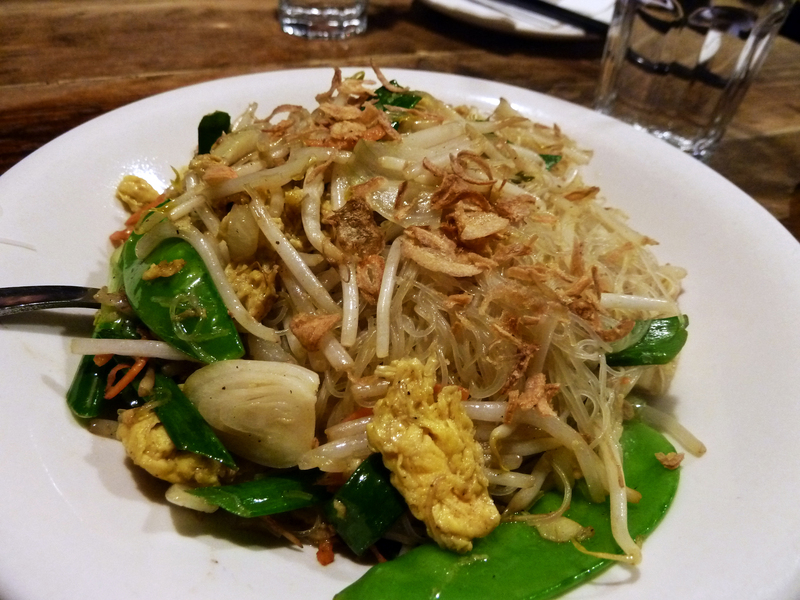 Vermicelli noodles – vegetarians take note! The vegetarian vermicelli noodles were surprisingly delicious once a dash of chilli sauce was added – these are a safe bet for any forlorn vegetarians, wandering Chinatown and staring in despair at dead ducks hanging in the windows. 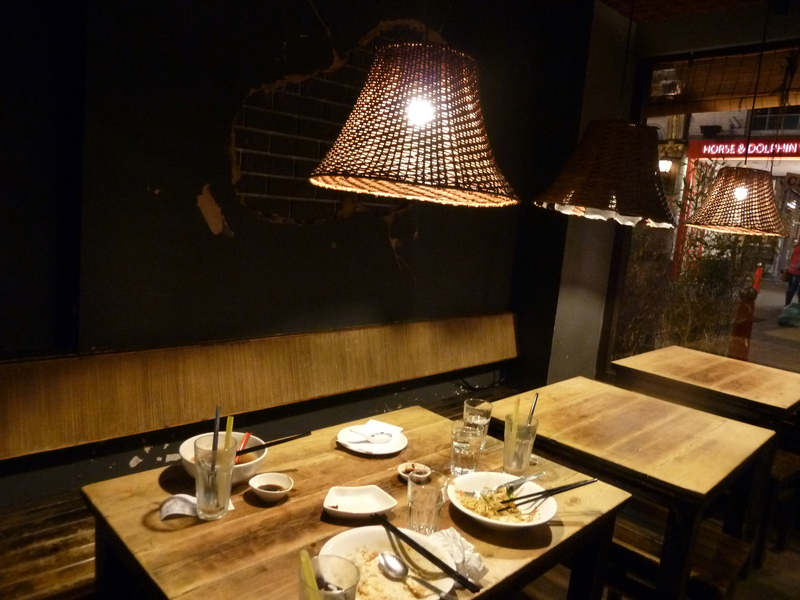 The dumplings were mediocre, and my friends seemed pleased to non-plussed with their food. We mutually agreed that the bubble tea should be avoided! It seems that you pay for what you get… the only problem is that it’s a lottery! 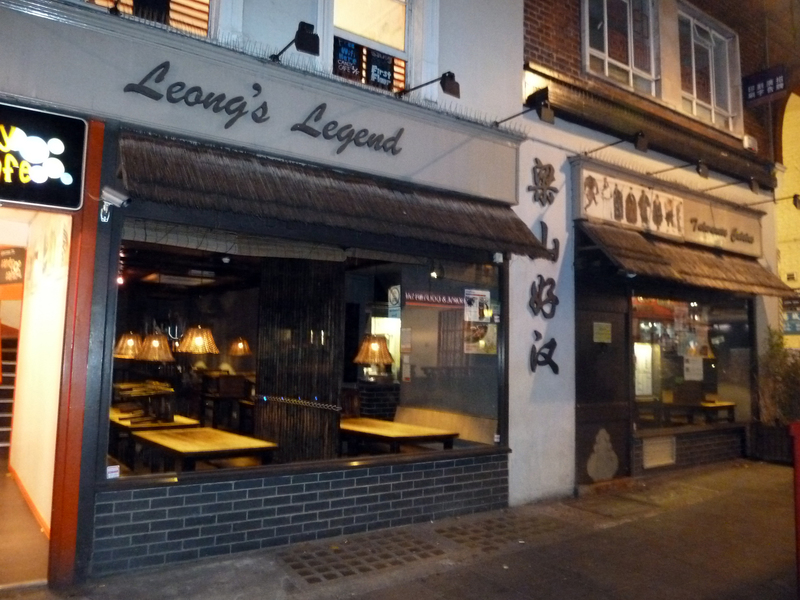 Leong’s Legend 2.5/5 – If cheap is what you’re after, then it’s worth a try. But the food is a mixed bag. Plus it isn’t a patch on the real Taiwanese stuff! 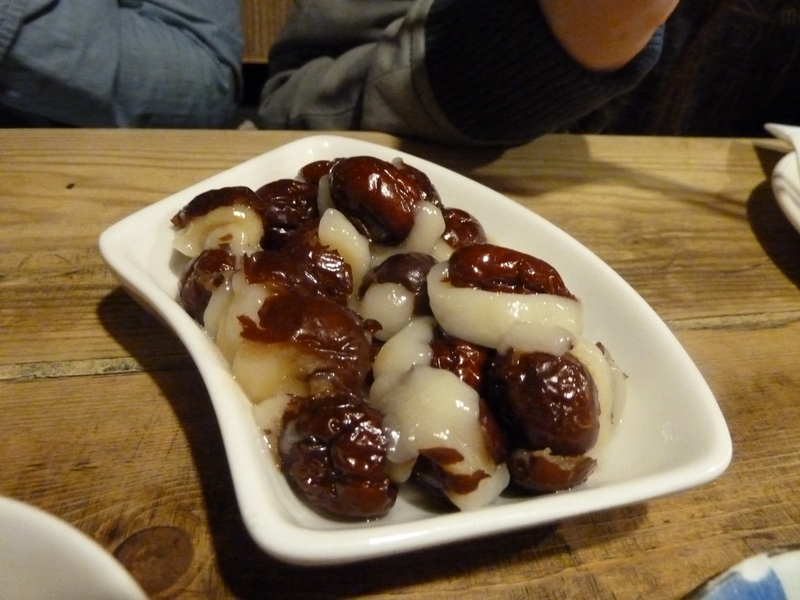 Dates with honey stuffed with mochi…? (If memory serves me). The savoury-sweet mix here was a clash, not a complement. 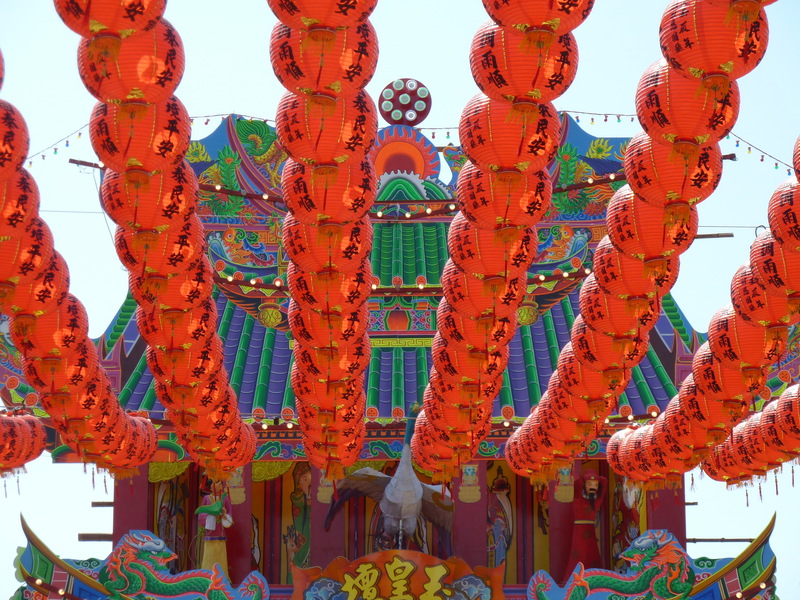 The picture of the lanterns is a beautiful shot. 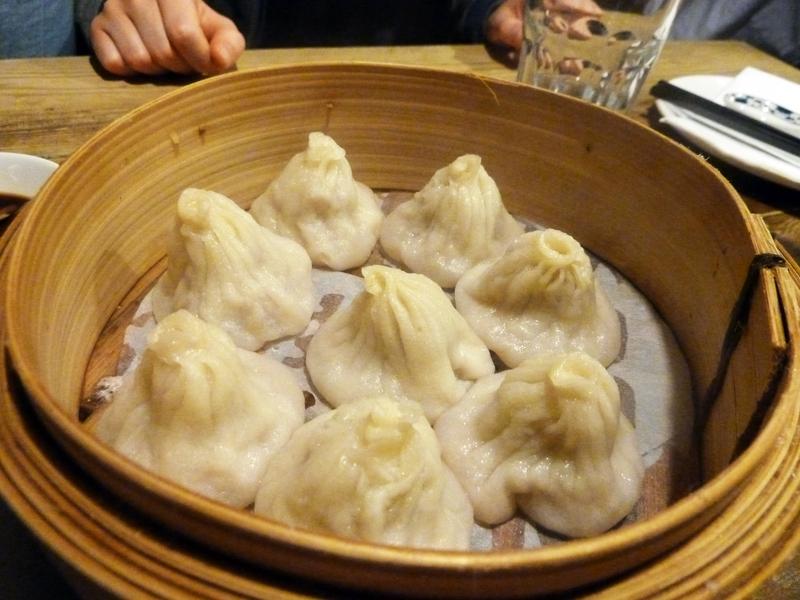 Those dumplings on the other hand look like gooey blob sea animals/monsters. Are you sure they were food and not the entertainment? Pahahaha! The entertainment was actually the bubble tea… it was a competition to see who could ‘chew’ the tapioca bubbles the fastest. Ugh. Pearl teas are like carbonated milk drinks. Not even remotely edible….